See our Dorr Foto Limited shop for full range of Dorr Foto Limited products. Dorr 77mm Circular Polarising DHG Slim Filter is specially designed for digital cameras and well suited to use with wide-angle lenses and enhance picture quality by blocking harmful reflected light. The Dorr filter is an essential accessory for outdoor photography and fits to selected lenses with a 77mm filter thread. The polarizer helps make a blue sky more bluer as well as making clouds stand out. The effect can be seen through the viewfinder and changed by rotating the filter. The filter removes unwanted reflections from non-metallic surfaces such as water or glass and also saturates colours providing better contrast. It feature multi-coated on front and back of filter that eliminate flare and ghosting up to negligible level and the metal frame helps minimize reflection. It also enable colour to become more saturated and appear clearer, with better contrast. This effect is often used to increase the contrast and saturation in blue skies and white clouds. The filter protect front lens surface from dust, scratches, dirt and fingerprints. 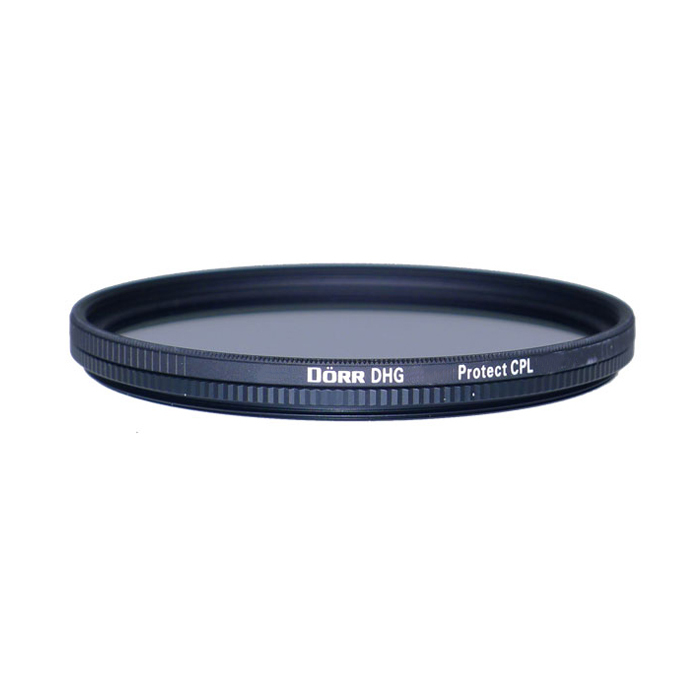 For more information about, Dorr 77mm Circular Polarising DHG Slim Filter website.